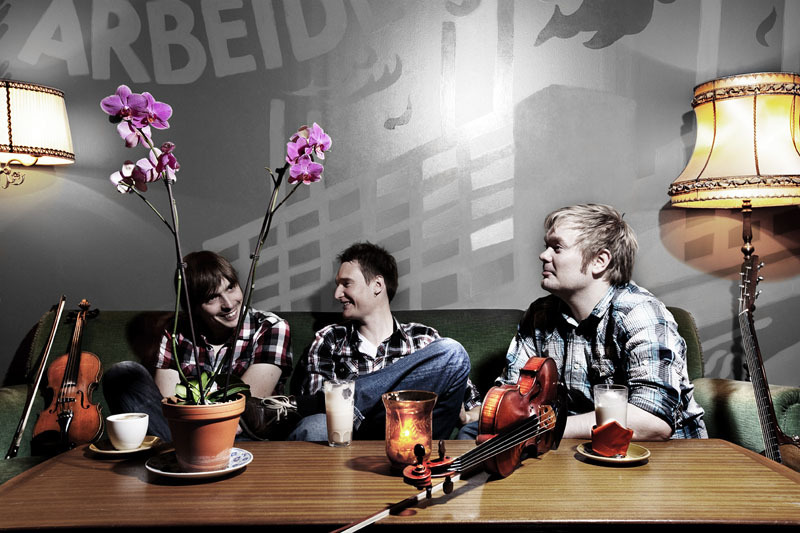 AAMOS is a trio that was formed in Norway in 2008, to spread the very special and energetic Shetland fiddle tradition to the World and further! They play mainly the traditional music of Shetland, the ritual tunes for weddings – like the bedding of the bride on her wedding night for example. The slow melodic tunes, and of course the fast swinging reels which Shetland is most famous for! The 2 fiddles and guitar combine to express deep subtle feeling, good humor and plenty of driving power! 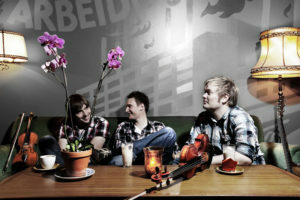 They releast there first album Caravan on Nordic Stomp July 22 2011. AAMOS is Shetland fiddle players – Kevin Henderson and Mark Laurenson. Along with Norwegian – Vidar Skrede on guitar. Kevin Henderson is from Lerwick in Shetland and is most noted for playing in well known bands such as Shetland super group – Fiddlers Bid, Scottish group -Session A9 and one of the best known British/Irish folk bands – Boys of the Lough. Mark Laurenson, from Bigton in the south of Shetland won Shetland’s young fiddler of the year in 1999 and was a finalist in the Scottish Young Traditional Musician of the Year 2003. Mark has toured in Estonia, Belgium, Norway and throughout England and Scotland. He is known for playing with Shetland bands, Drop the Box and Fullsceilidh Spelemannslag. “a gift promised in the hope that a wish will be granted to the donor”.